Soups, salads, quiches, stews, roasts, etc. To be honest, this is barely a recipe – it’s literally a case of cooking the stems, mixing them into a béchamel sauce, topping the whole thing off with cheese and grilling it until bubbly and golden. Boom, simple as. The recipe quantities are more guidelines than set in stone. I never usually measure anything out when I make a béchamel, so doing so to write up the recipe was a bit of a novel experience. 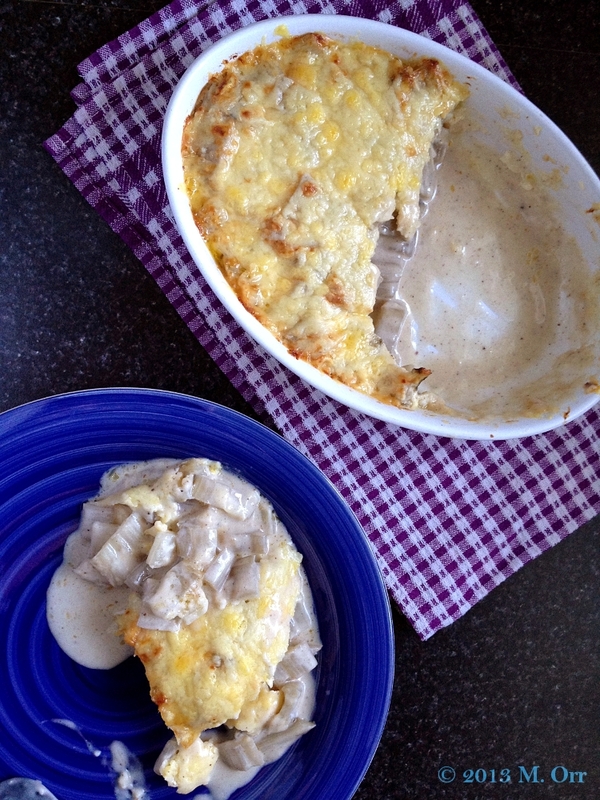 I apologise for the slightly uninspiring photos by the way – I was more focused on actually eating the gratin. 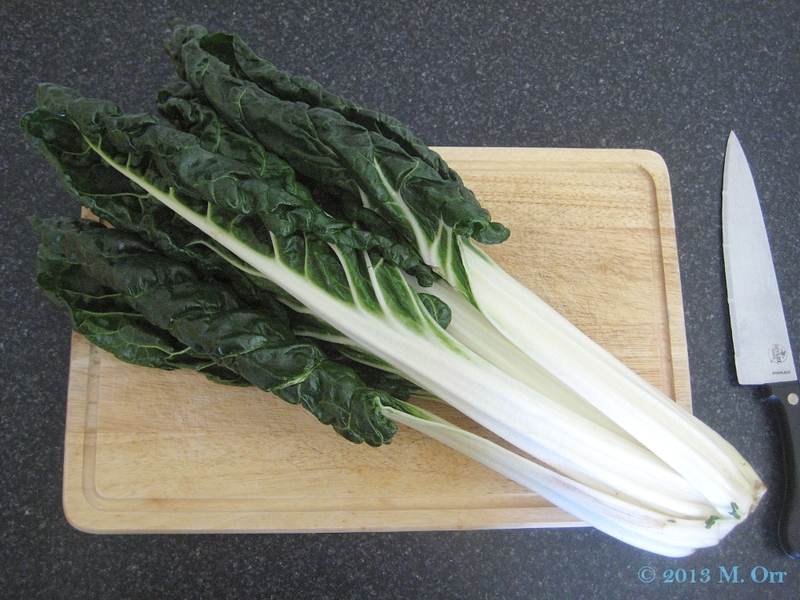 Although the silverbeet leaves aren’t used in this recipe, don’t throw them out – they work interchangeably with spinach in many recipes (although be warned that they are slightly more bitter). Comté cheese is the best cheese to use, but if you can’t get it (or it’s prohibitively expensive), gruyère will also do the trick. The gratin can be served as a side dish alongside meat, or by itself as a light meal, accompanied by a side salad. 1. Wash the silverbeet, trim the leaves from the stalks (you won’t need the leaves, but keep them as they can be used for other things). Slice the stalks into 1-1.5 cm slices. 2. 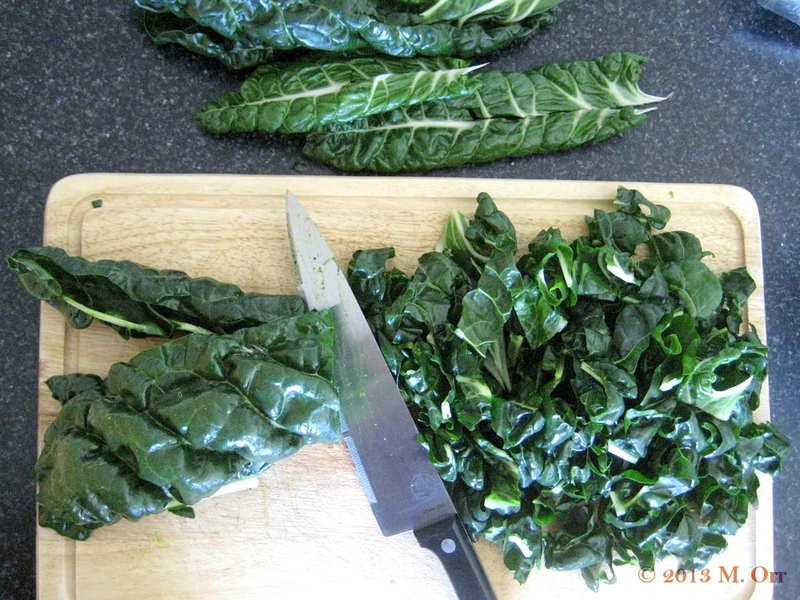 Bring a large saucepan of salted water to the boil, add the silverbeet slices and the juice of the half lemon. Cook for about 20 mins, until a knife point easily slides into the stalks. 3. Pre-heat the oven to a hot grill setting. 4. Meanwhile, make the béchamel. Melt the butter in a medium saucepan. Add 2 heaped tbsp of flour and stir until smooth. Add more if necessary, but a little at a time, ensuring that it remains smooth. Stir in the milk about 50ml at a time, constantly stirring and allowing the sauce to thicken before adding more. Season with salt and freshly ground black pepper and the nutmeg. 5. Drain the silverbeet, and add to the béchamel sauce (or add the sauce to the silverbeet, depending on the size of your saucepans) and stir together. Pour into an ovenproof dish, and top with grated comté or gruyère. Grill until the cheese is melted and browning. Serve immediately. Just a quick post to say that the lovely Javelin Warrior has featured me as his Tuesday Tutor today. Which is Wednesday, I know, but yay, time zones, it’s still Tuesday in the US. Anyway, I digress. Javelin Warrior is one of the genuinely loveliest bloggers out there, so I was delighted when he asked me to get involved with the series. 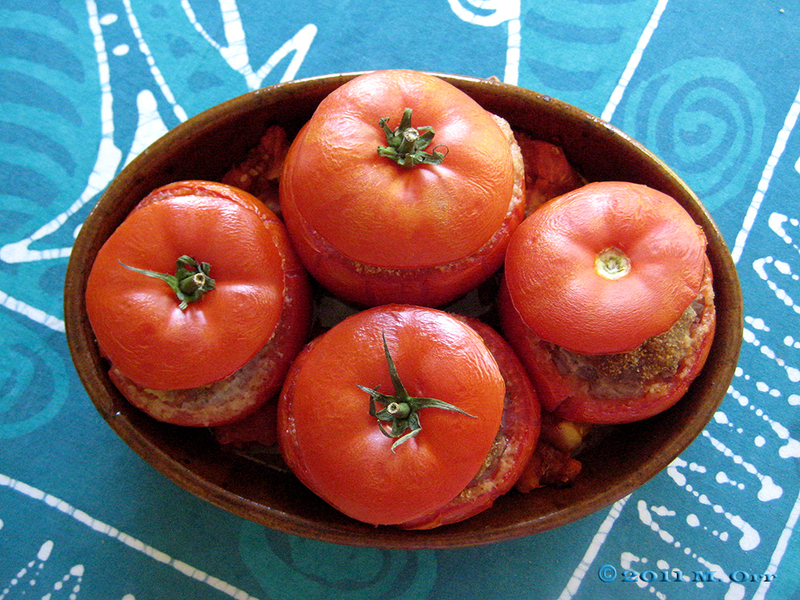 He decided to try out my baked beef-stuffed tomatoes which is one of my favourite savoury recipes ever because A) my mum always made stuffed tomatoes in the summertime, so they remind me of growing up and summer holidays, and B) they’re super delicious. Simple as that. It’s not quite tomato season here yet, so I have to wait a little while longer to make my own, but I’m starting to grow rather impatient! Anyway, you can read Javelin Warrior’s thoughts on and step-by-step guide to the recipe here. 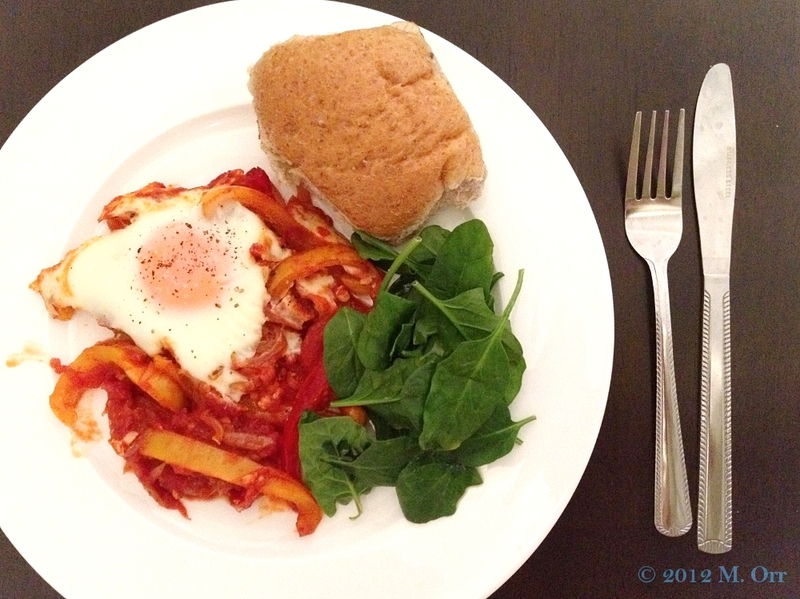 I love that he used different coloured tomatoes – so pretty! And I’m intrigued by his suggestion of adding cheese, because, well, cheese. Enough said. Food photography 101 goes something like this: pretty food + natural light + proper camera = mouthwatering photos. The formula for this post’s photos went more like this: unpresentable food + rapidly fading natural light (aka half dark) + iPhone = photos that not even Photoshop can redeem. I more or less set myself up to fail though. Crumble isn’t the easiest thing to serve up and the resulting mess is generally not very photogenic, particularly when there’s meat involved and everything is varying shades of brown. Oh and I also wanted to eat dinner at a vaguely normal time, which happens to coincide with sunset at the moment, instead of 17h when the light would have been good. Shocking, I know. I came down with one of those feverish change-of-season colds over the weekend, so I was feeling a bit sorry for myself and craving comfort food. The classic combination of pork and apple had been playing on my mind, but I didn’t quite feel up to faffing around with pastry and making a pie. 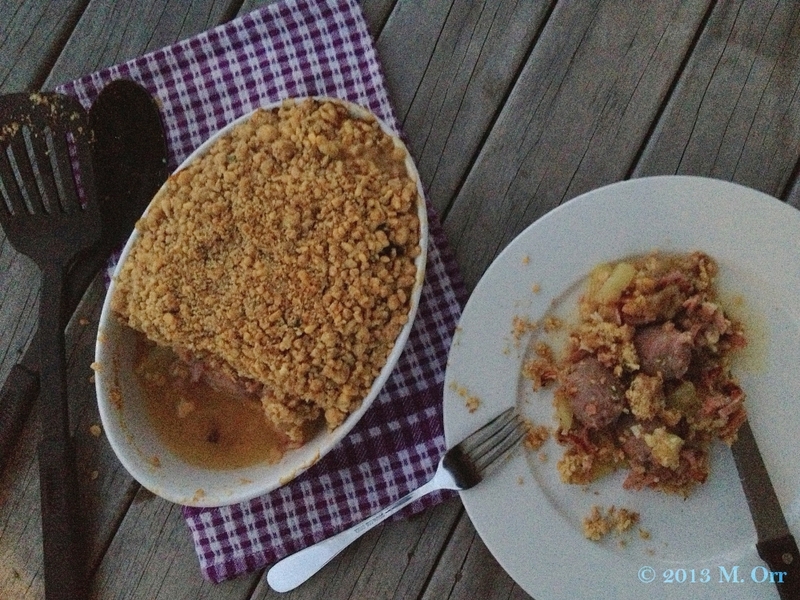 So I threw together a pork sausage & cider crumble instead, as you do. It sounds totally fancy-pants, but it’s ridiculously easy and makes for a hearty main course. Despite its appearance, it also happens to be totally delicious – with bacon strips, apple pieces and lashings of garlic also chucked in there, how could it not be? 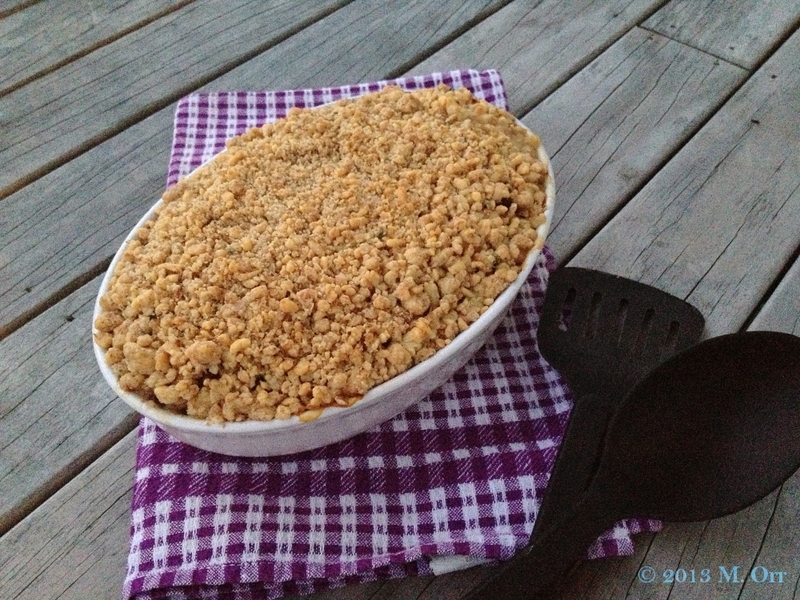 Cider is the special ingredient for this month’s Baking with Spirit, so I’m submitting this crumble to Janine over at Cake of the Week, who launched this genius challenge a year ago! (A year already? What?!) If you’ve a sudden inspiration to bake something with cider, whether sweet or savoury, I think you’ve got until Saturday to enter. Ya, I don’t really want to talk about that photo. There’s a lot of room for adjustment in this recipe. Use whatever good quality pork sausages you feel like – pork and fennel? Go for it. Pork and apple? Sounds amazing. I used a pretty light-flavoured cider because that’s what we had at home, but a heavily-flavoured cider would probably be even better. Use your favourite kind of cheddar, as long as it’s flavourful. If you think the cider is still too liquidy before adding the crumble, sprinkle a little flour over the top first. 1. Preheat the oven to 220°C/fan oven 200°C. 2. 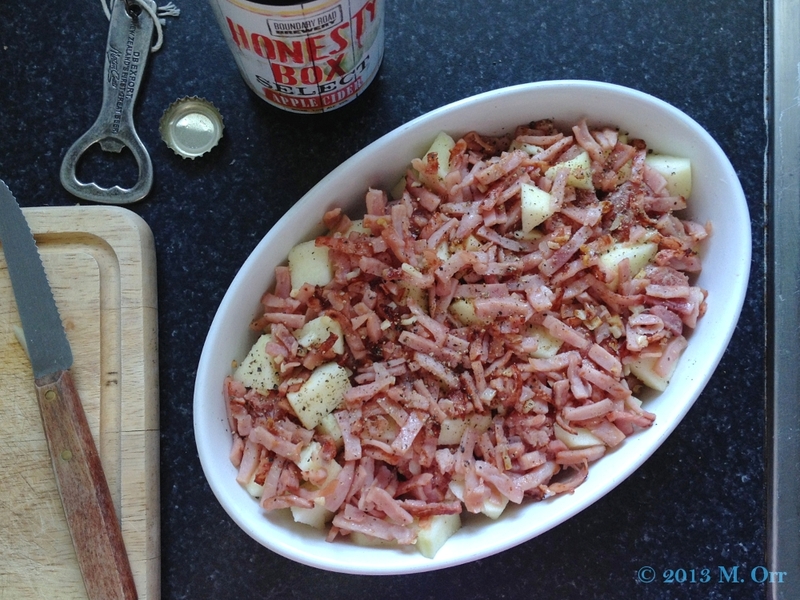 Remove any huge bits of fat from the bacon strips/cubes/lardons. Peel the garlic gloves and finely dice. Heat the olive oil in a frying pan over a medium heat, add the bacon and garlic and fry until golden. 3. Meanwhile, cut each sausage into 4 rounds and place standing up in an ovenproof dish with a little space (about 1 cm) between each piece of sausage. Scatter the garlicky bacon between the sausage rounds. Peel and dice the apple into the 1cm pieces, and scatter over the top of the bacon, between the sausages or over the top, depending on how much space you have in your dish. Season with freshly ground pepper, then pour the cider over the top, stopping 1cm from the top of the dish. 4. Bake for 25-30 mins, until lightly browned on top. 5. Meanwhile, prepare the crumble. Roughly grate the cheddar into a medium-sized bowl. Cube the butter into the same bowl, followed by the flours and some salt and freshly ground pepper. Wash and dry the thyme sprigs, then strip the leaves, adding them to the bowl. Rub the mixture together with your fingers, until the mixture resembles breadcrumbs. 6. Sprinkle the crumble mixture over the top of the filling, then bake for a further 30-35 mins, until golden and a little crispy on top. Serve immediately, accompanied with a side salad and a glass of cider. This whole always-in-season thing is rather marvellous because I love silverbeet. Well, specifically the stems, which I will post about later. I’m sort of doing this backwards, I should really post about the stalks first and why I love them so much (clue: there’s cheese involved). But instead, I’m going to talk about the leaves. They’re super bitter, so I wouldn’t eat them raw, but when it comes to cooking them, you can generally use them interchangeably with spinach. 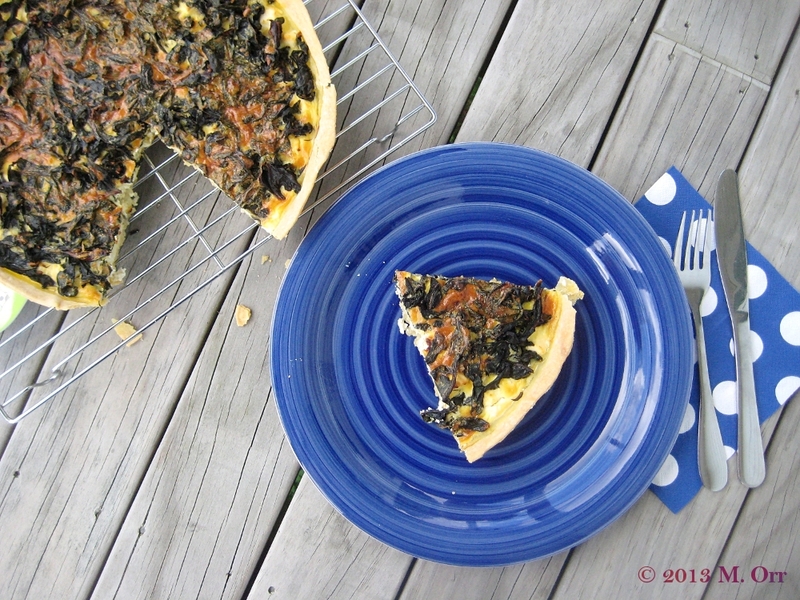 I had a bunch of silverbeet leaves to use up, so I decided to throw them into a quiche with some feta. Quiches are the best way to use up leftovers or ingredients loitering in the fridge. Throw some ingredients together, beat together a couple of eggs and some crème fraîche, throw them all together in a pastry-lined tart tin, and boom, a fancy-pants vehicle for leftovers that’s actually insanely easy to prepare. Bonus: any leftover quiche can be eaten cold for lunch (or warm for lunch, that works, too). Basically, quiche is a winner. This silverbeet and feta quiche is definitely a winner. It’s pretty light, perfect for lunch or a starter. Since it’s not totally filled with eggy mixture, the silverbeet leaves on the top go all crispy in the oven. Scrumptious! I’m submitting this quiche to September’s AlphaBakes, where the special letter is “Q.” The challenge is being hosted by Caroline Makes this month. This would work equally well with spinach leaves, and feel free to throw in some toasted pine nuts if you have some (unfortunately I didn’t). This quiche is delicious either warm out of the oven, or cooled down to room temperature and makes an excellent light meal or starter. 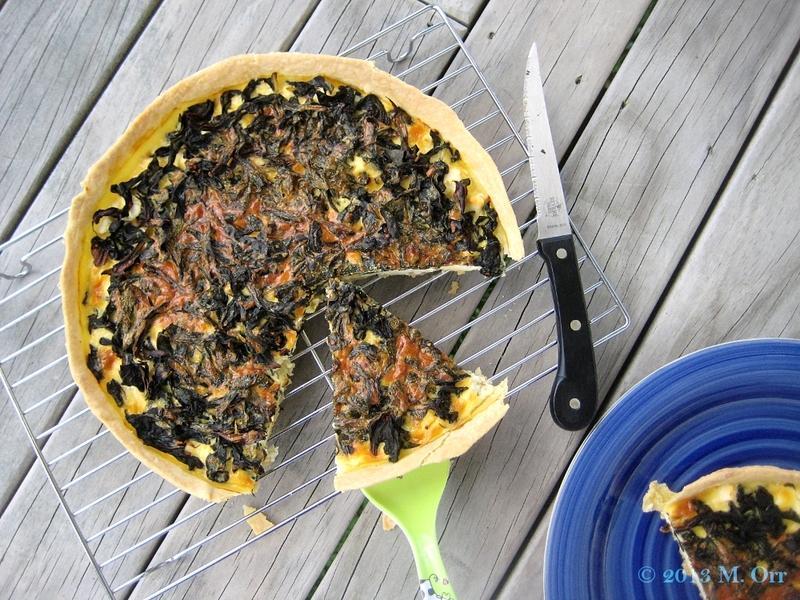 If you want a more filling quiche, add more feta and silverbeet leaves, or add another egg and some more crème fraîche. This recipe is pretty flexible, so knock yourself out (not literally, please). 1. Butter and flour a 24cm fluted tart tin. Make your pastry, roll it out and line the tart tin with it. Prick the pastry with a fork. Refrigerate for at least 30 mins. 2. Meanwhile, preheat the oven to 200°C/fan oven 180°C. 3. Wash the silverbeet leaves, pat them dry and slice them widthways in about 1cm strips (it doesn’t have to be perfect, we’re making quiche here). Peel and finely mince the garlic cloves. 4. Heat a drizzle of oil in large frying pan over a medium heat. Add the garlic and sauté for 1-2 mins. Then add the silverbeet leaves. I generally add half the leaves and allow them to wilt for a couple of minutes before adding the remaining leaves to the pan. This helps to prevent silverbeet overflow. Cook until thoroughly wilted and reduced. Set aside to cool a little. 5. Remove the pastry from the fridge. Spread the mustard thinly over the base, then evenly crumble the feta over the top. Evenly spread the garlicky spinach over the top of the feta. In a medium bowl, lightly beat together the eggs, then whisk in the crème fraîche and season with salt and pepper (you won’t need much salt since feta is usually quite salty). Pour over the top of the spinach. 6. Bake for 50 mins to 1h, until golden and cooked through. Allow to cool in the tin for about ten mins before serving or transferring to a wire rack to cool. 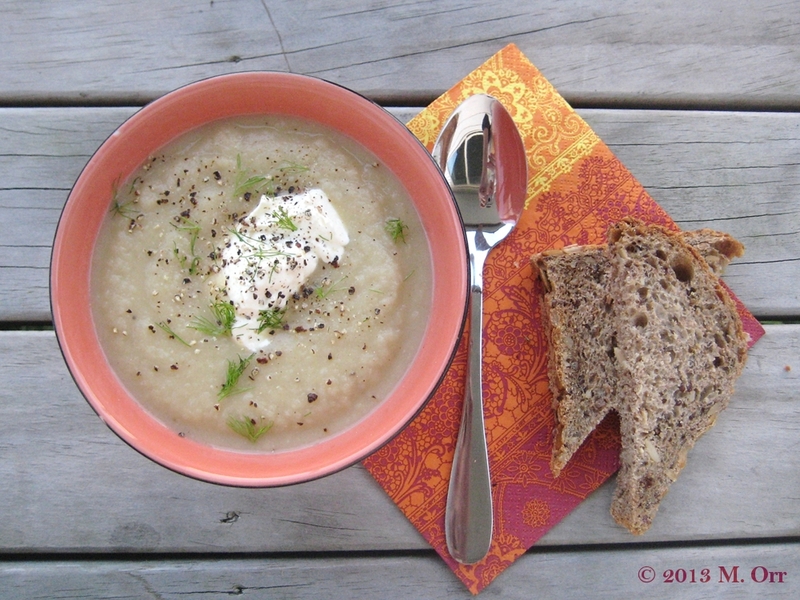 A wee while ago, one of my Random Recipe entries was a slightly disappointing celeriac soup. It was just… bland. In that post, I decided to root for (badum-tschhhh! Don’t judge, it’s been a tiring week…) this rather neglected vegetable and would attempt to find a non-bland celeriac soup recipe. 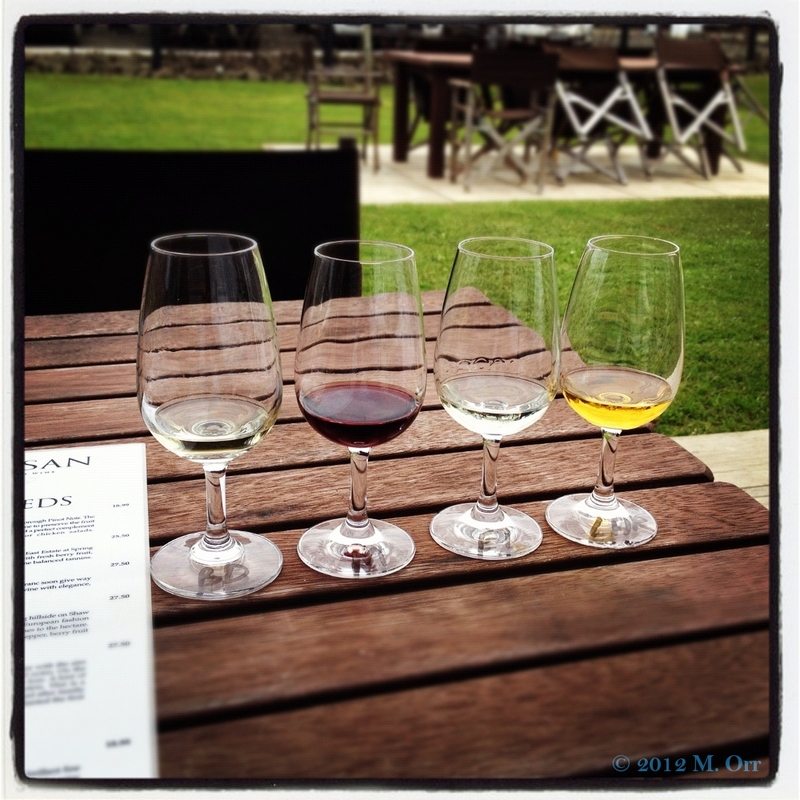 Then I moved to NZ and got completely distracted by other things. (Ehm, so when I said that it was a wee while ago, it was actually at least 18 months ago.) The celeriac soup mission was put on hold. Not that it was a mission that I had been taking particularly seriously. Last weekend I came across some celeriac halves going cheap. It was obviously fate. Or a simple case of an ugly vegetable not getting much love. I bought some, and proceeded to try out a celeriac soup recipe from River Cottage Veg Everyday! which also involved fennel and orange, a combination which intrigued me. It turned out far tastier than that original uninspiring celeriac soup. The fennel adds a slight aniseedy taste (but not overpoweringly so – luckily, because I’m not really a fan of a strong aniseed flavour), and the orange adds some subtle pep. 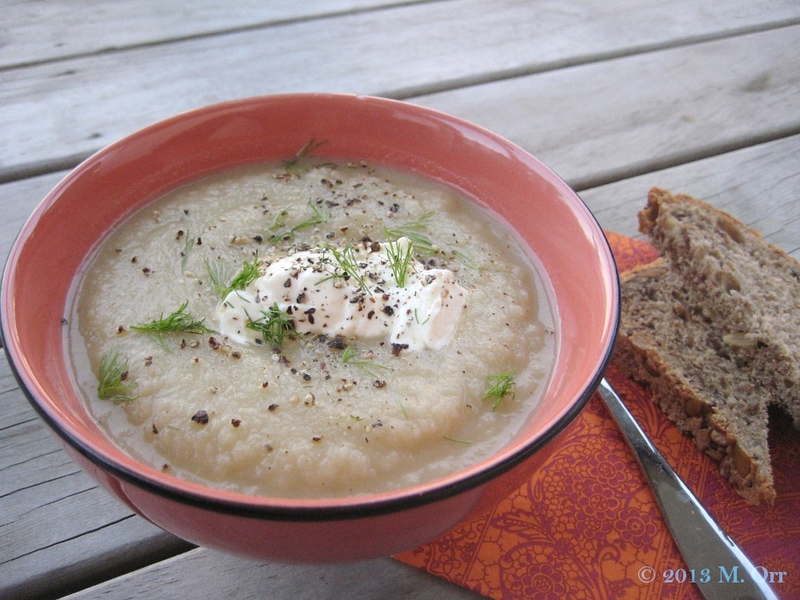 It seems that I’ve solved the bland celeriac soup issue – mission accomplished, hurrah! (Although I’m happy to try out any other interesting celeriac soup suggestions.) I’m still stuck on how to take interesting photos of beige soup though. Slightly adapted from River Cottage Veg Everyday! If adding more stock or water to smooth the soup out (I should have done this but didn’t), using milk would probably make the soup a little more velvety. I expect that this soup would freeze quite well, just freeze it at the end of step 4, before adding any dairy products. 1. Trim and slice the fennel bulbs, keeping any feathery fronds aside to serve. 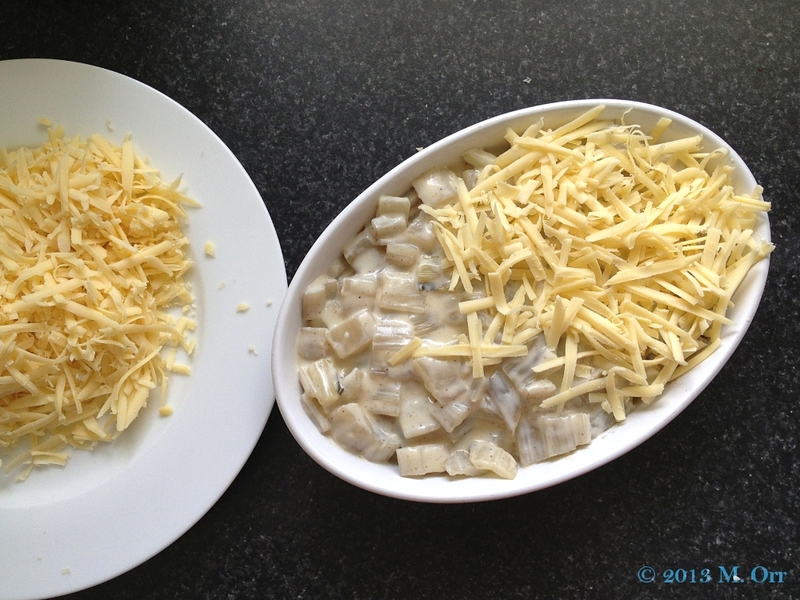 Peel the celeriac and chop into about 1.5cm cubes (the cubes don’t have to be perfect, but fairly similar is ideal). Peel and slice the shallots (or onion). 2. Heat the olive oil in a large saucepan or pot over a medium heat. Sweat the shallots for a few minutes, then add the fennel and celeriac and stir well. Cover and sweat for about 10 mins, stirring occasionally. 3. Zest and juice the oranges. Add to the pot along with the stock and some salt and pepper. Bring to the boil and simmer, uncovered, for about 15 mins until all the vegetables are cooked and tender. Remove from the heat. 4. Blend the soup, either in a food processor or with a stick blender. If the soup is too thick, add a tiny bit of stock or water (mine came out very thick, I should have added a little more stock to it at this point). 5. Reheat the soup if necessary, check the seasoning and serve hot, with a dollop of crème fraîche in each bowl and scattered with any reserved fennel fronds and a good dose of freshly ground black pepper. Yesterday was the winter solstice. Shortest day of the year, and rather cold to boot. That said, our 9°C and intermittent downpours was rather paltry in comparison to a large part of the rest of the country which was either snowed under or being battered by truly ferocious winds (or both). Given the large swathes of the country that are (still) cut off or without power, I can hardly complain. 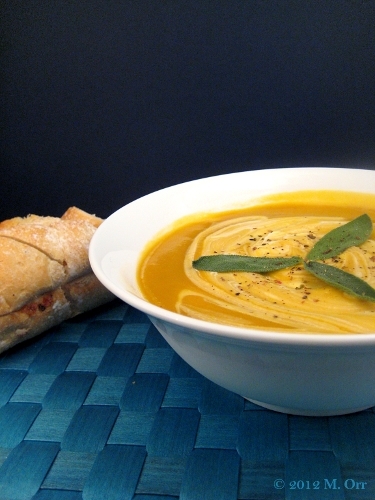 Instead, I think we can all just agree that 9°C is excellent soup weather. For this month’s Random Recipes challenge, Dom chose the theme of “healthy & happy” – poor Dom has had a bit of a rough time of it lately, so healthy recipes are the order of the day over at Belleau Kitchen at the moment. I plucked my copy of River Cottage Veg Everyday! off the shelf on the basis that vegetables = healthy (I would obviously make an excellent nutritionist), followed the instructions of the random number button on my calculator and landed on on page 157: parsnip and ginger soup. Excellent choice, calculator – soup certainly makes me happy in this weather, and ginger is full of health benefits, so that’s both bases covered. Sure, there’s milk and a wee bit of cream in it, but I’m all about dairy products, so that makes me happy, too. And calcium is important, right? 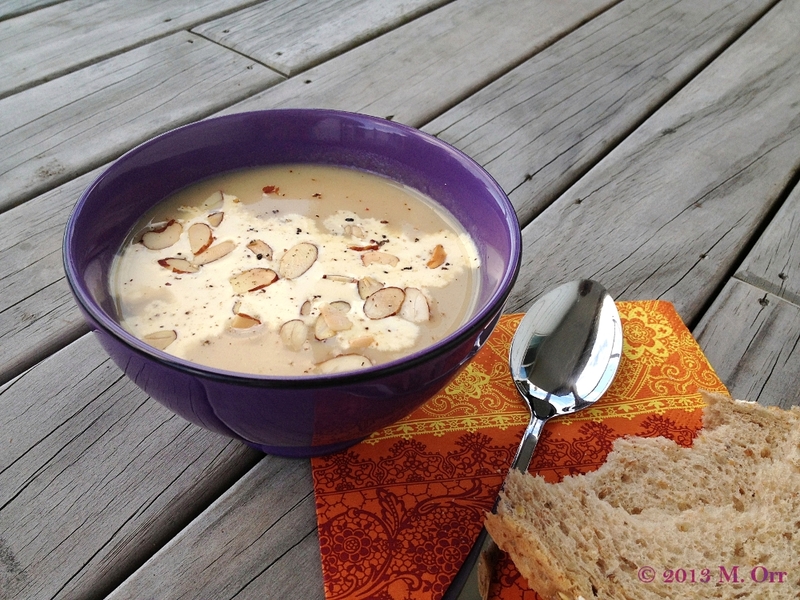 I love creamy, velvety soups, so this one was definitely right up my street. 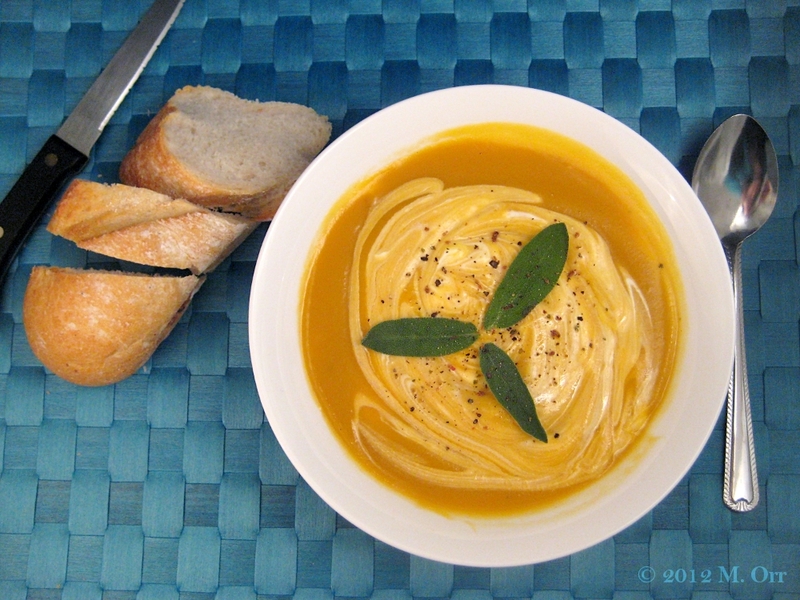 The ginger is really what makes this soup – it adds a fiery dimension, and is definitely warming. I had more ginger in the cupboard than specified in the recipe and decided to throw it all in, which was slightly too keen – it may have blown my socks off, but I guess at least it cleared my sinuses. So I’ve given the quantities specified in the original recipe, not the ones I used. Adapted from River Cottage Veg Everyday! The ginger is quite fiery (and thus warming – excellent for winter! ), so the amount you should add will depend on your taste. If you want to freeze the soup, do so at the end of step 3, before adding the milk. You can add either unsweetened yoghurt or double cream to serve – I personally preferred the yoghurt option as I found it cut through the fieriness of the ginger rather nicely. 1. Prepare the vegetables. Peel the parsnips and chop into roughly 1cm cubes, set aside. Peel and finely chop the onion, set aside. Finally, peel and finely chop the garlic and ginger (top tip for peeling ginger: use a teaspoon. Sounds really odd, I know, but it works wonderfully), set aside. 2. Heat the olive oil in a large saucepan over a medium-low heat. Add the onion and sauté until softened and translucent. Add the garlic, ginger and spices, and stir for a few minutes before adding the parsnips. Stir to coat the parsnips with the spices. Add the stock and 300ml of water, season with salt and pepper and simmer for about 15 mins until the parsnips are very soft. 3. 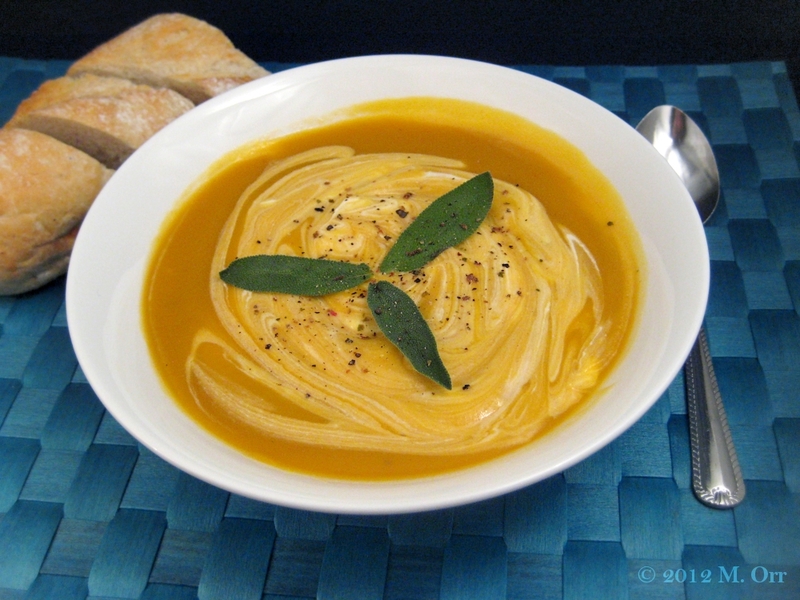 Remove the soup from the heat and blend either in a food processor or using a stick blender, until smooth and velvety. 4. Return the soup to a low heat, add the milk and add more salt and pepper if necessary. 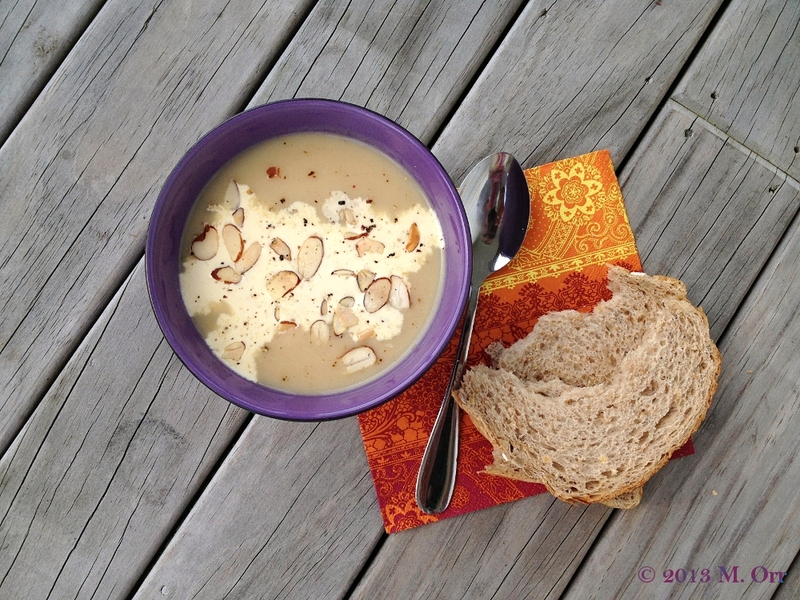 Whilst the soup is warming, toast the flaked almonds in a small frying pan, until just golden. 5. Serve immediately, adding a drizzle of cream or yoghurt to each bowl, and topping with the toasted almonds. Well, first I had to find a recipe. My cookbooks only had a few offerings, and they were all rather unrealistic, such as roast goose. I do enjoy goose, but not enough to willingly eat it every day for a month which, since I live on my own and have a tiny freezer, is what would probably end up happening. So no roast goose, but no other alternatives in my cookbooks. Luckily the internet exists. 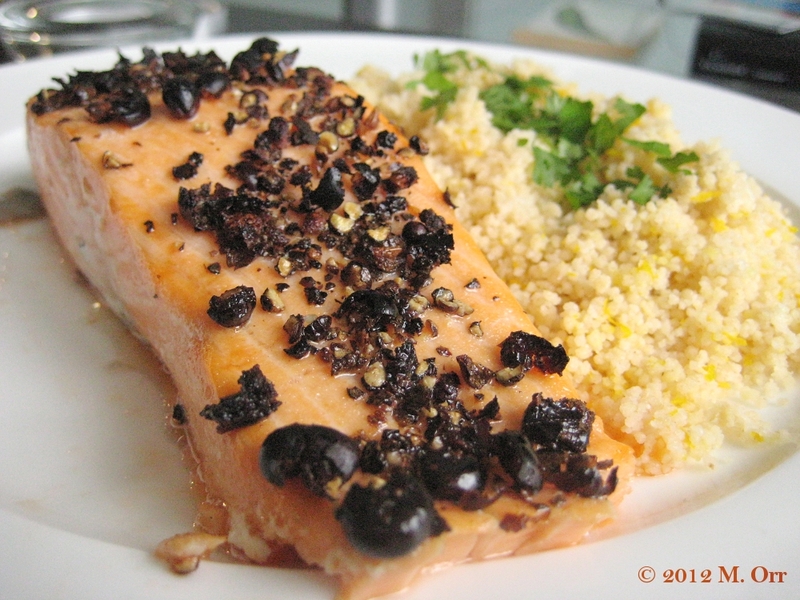 After poking around on the BBC Good Food site, I came across a salmon recipe that called for juniper berries. Which was perfect, because I had some salmon living in my freezer, so that cleared up a bit of space. Double success! If you are using frozen salmon, do make sure that it has thawed thoroughly in the fridge before cooking it. If you don’t have a peppercorn mix, don’t necessarily go out and by some just for this recipe, you can just use black peppercorns. Since there aren’t any vegetables in this, serving a green salad on the side is a great idea. 1. Line a roasting tin with tin foil. Heat the grill to medium. 2. Roughly crush the juniper berries and peppercorns with a mortar and pestle (if, like me, you don’t have a mortar and pestle, pop them in a zip-lock bag and roughly crush with a rolling pin). Place the salmon in the roasting tin and rub with the olive oil and sprinkle the crushed juniper berry and peppercorn mix over the top. Grill for about 8 mins (the original recipe said 6-7 mins, but I found this wasn’t long enough. However, this may be more due to my oven than anything else. Basically, keep an eye on it. 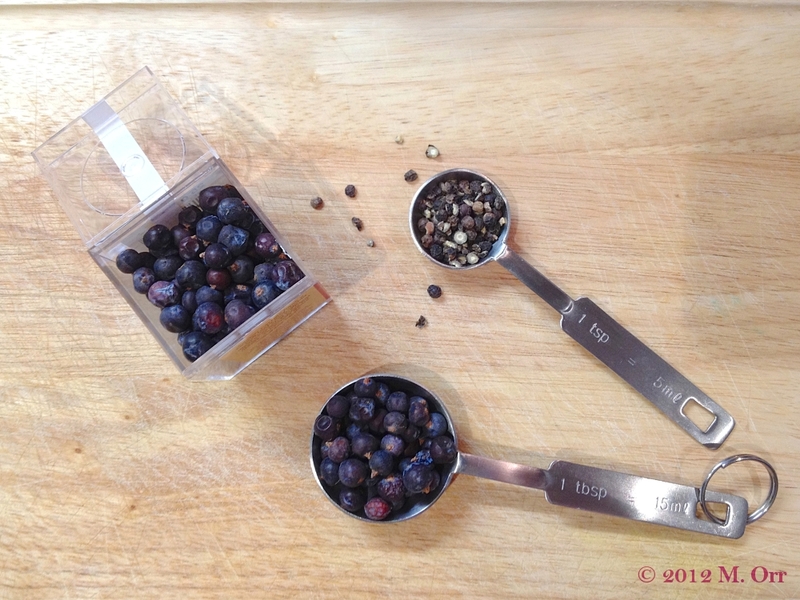 ), checking that the juniper berries and peppercorns don’t burn. 3. Whilst the salmon is cooking, prepare the couscous. Either bring 125ml of water to the boil in a saucepan with the drizzle of oil, then remove from the heat, add the couscous and cover, allowing the couscous to absorb all the water (about 5 mins). Or add the couscous to a heatproof bowl, add the drizzle of oil and stir through the couscous and add 125ml of boiling water, cover, and allow the couscous to absorb all the water (about 5 mins). Once the couscous is ready, add the knob of butter, stir through until melted and stir in the orange zest and some freshly ground black pepper. Keep covered until the salmon is ready. 4. 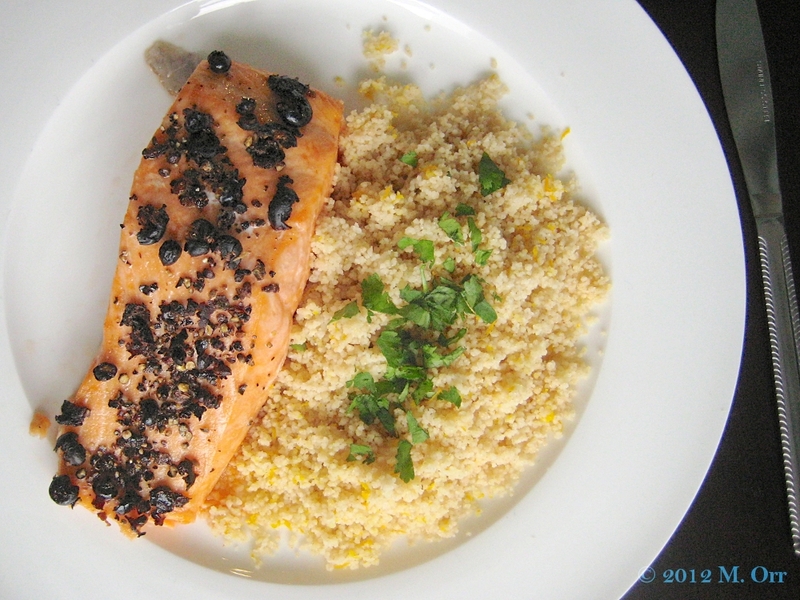 Immediately serve the salmon accompanied by the couscous topped with freshly chopped parsley, with a green salad on the side. I mentioned the other day a while ago that I’d borrowed Hugh Fearnley-Whittingstall’s River Cottage Veg Everyday! from the library (before tangentially enthusing about my love for Auckland’s public library system…) and tried the chachouka recipe from it, which turned out brilliantly. And then, aside from a brief (though enthusiastic) mention in a Sunday Smiles post, I never spoke about the book again, which could suggest that none of the other recipes appealed to me, or none of them worked. What actually happened is that I cooked several recipes, loved them all and had so many others bookmarked to try out that I realised that this was a book worth buying – it was clearly not going languish on my bookshelf, gathering dust. So that’s precisely what I did: I bought a copy. But I never quite got around to blogging about those recipes, mostly because I didn’t take photos – I struggle with savoury food photography because I’m not terribly imaginative and I’d usually rather eat my meal hot rather than having to take photos of it whilst it cools. And I’m also usually hungry. 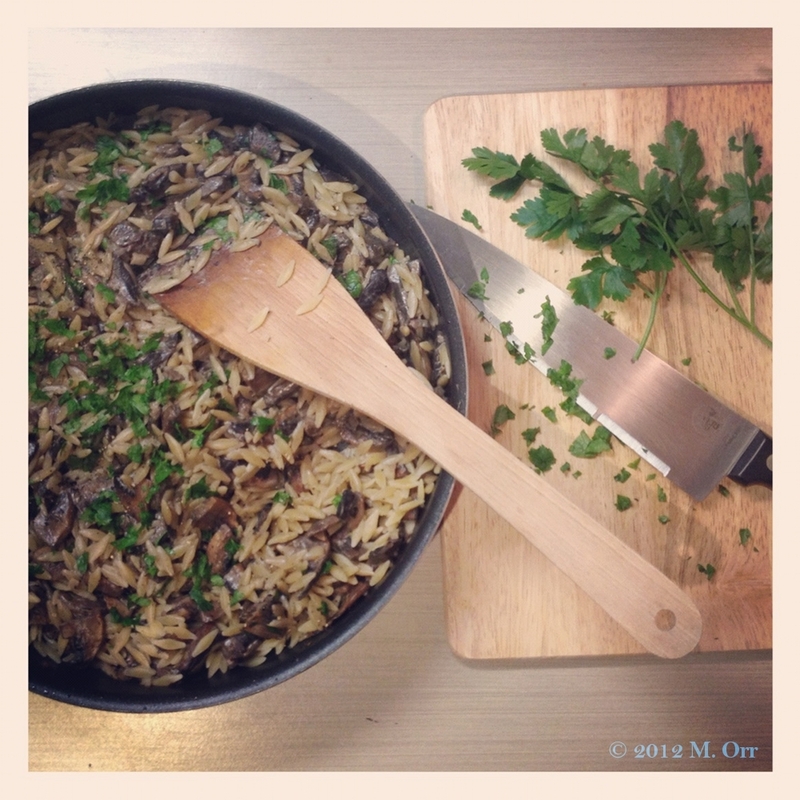 I did, however, take photos of the creamy mushroom orzo, which was the second dish that I tried from the book (ages ago when mushrooms were still in season over here in the southern hemisphere… Good timing if you’re in the northern hemisphere though!). I love mushrooms and often cook them in a cream and wine sauce – my version of the French stalwart that is champignons à la crème. I’ve always served them with toast, and would never have thought to add orzo, which is a great idea – it makes this more of a substantial meal and more practical to take as a packed lunch (always a bonus). I don’t think larger pasta would work nearly as well, it would over-power the dish in terms of texture (does that even make sense? 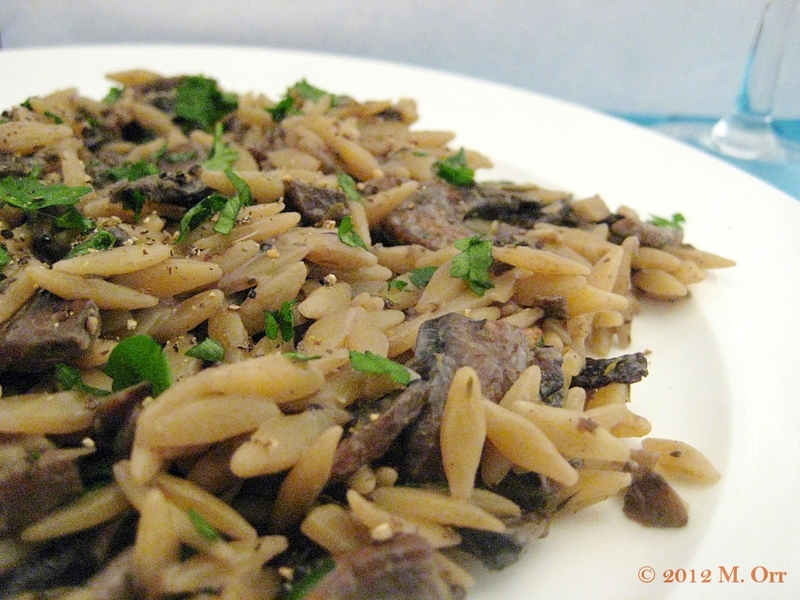 ), whereas with the orzo, this dish is still all about the mushrooms and the sauce, and the orzo is more of a background addition that fills it out. This is really a wonderfully comforting (but not heavy) autumnal or wintery dish. I really like the addition of the balsamic vinegar – it adds a subtle extra dimension to the flavours, and goes so well with the mushrooms. Since this recipe is very much made from scratch, I’m submitting it to this week’s Made with Love Mondays over at Javelin Warrior. Flavourful dark mushrooms, such as chestnut or field mushrooms, are best if you can get them – I used portobello mushrooms since I didn’t have much choice in terms of varieties. Do use a good quality balsamic vinegar as it will impact the flavour of the dish. 1. Bring a large pan of salted water to the boil, ready to cook the pasta whilst the sauce is being prepared. 2. Brush the mushrooms, trim the stipes (stems/stalks) and slice thickly. Melt the butter in a large frying pan over a medium-high heat. Add half the mushrooms and cook, stirring often, until starting to caramelise and the liquid from the mushrooms has evaporated. Remove to a plate and repeat with the other half of the mushrooms (doing it in batches avoids the mushrooms stewing in an overcrowded pan). 3. Whilst the mushrooms are cooking, chop the garlic cloves and set aside. Separately, strip the parsley leaves from their stalks, chop and set aside. 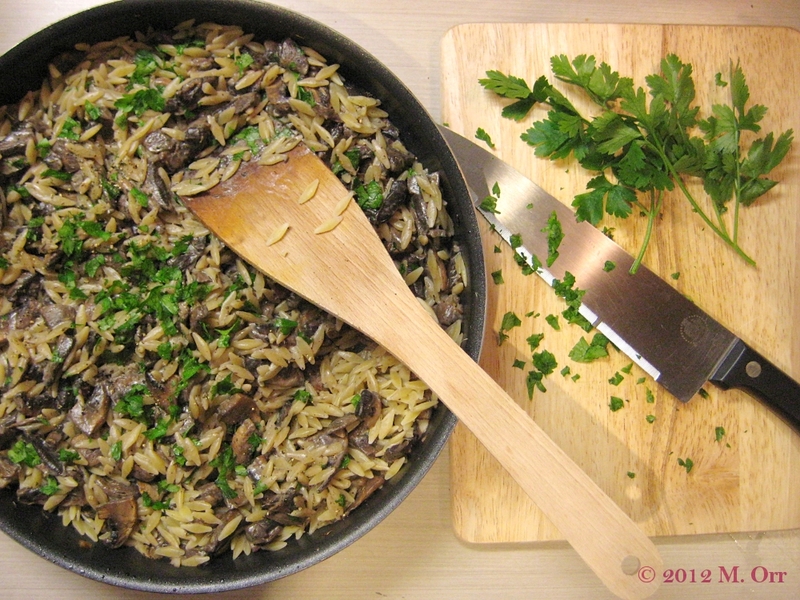 Once the second batch of mushrooms is nearly cooked, add the orzo to the boiling water and cook for the amount of time specified on the packet until al dente. Drain as soon as it is cooked. 4. Return the first batch of mushrooms to the frying pan, along with the garlic, balsamic vinegar and thyme. Cook for about 2 mins, stirring frequently. And the wine and simmer until it has mostly reduced, then reduce the heat a little and add the cream, stirring until just starting to simmer. Season with salt and freshly ground black pepper, to taste. 5. 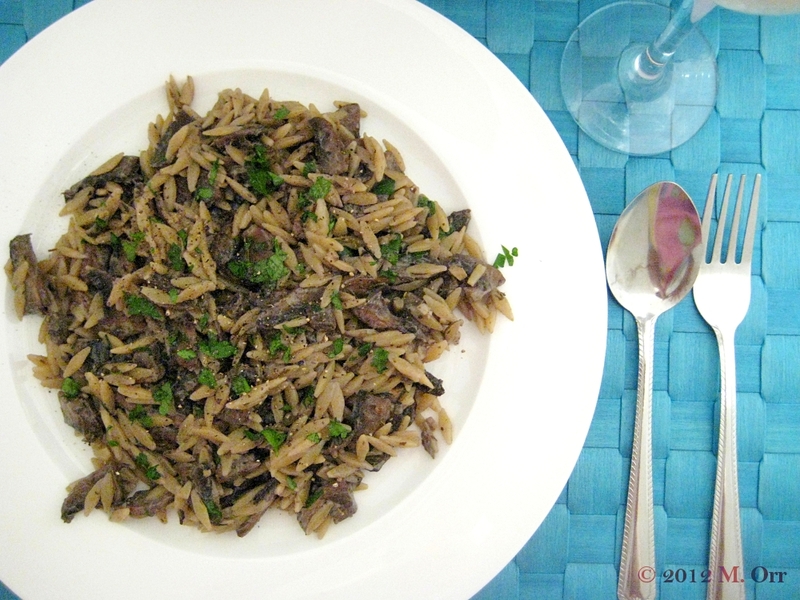 Stir the drained pasta through the mushroom mixture, along with most of the parsley. Serve immediately, garnished with the remaining chopped parsley. I mentioned in this post that I’d requested a copy of the River Cottage Veg Every Day! book from my local library. I requested it back in April, but apparently half of Auckland had the same idea (ok, a slight exaggeration perhaps…) so there was quite a waiting list for it. Of course, I could have just gone and bought it rather than wait, but I’ve resolved not to buy any more books (cookbooks or otherwise) if I can borrow them from the library because A) books from the library are generally free, B) books from the library only temporarily eat up valuable and limited bookshelf space, C) library books won’t take up expensive box space when I next move country, D) if I detest a book I can just give it back rather than being annoyed that I spent good money on it when I could have used said money to buy butter or gin, and E) if I love a book so much that I know I will definitely read it again or realistically cook more than ten recipes from it, I can then go out and buy it, knowing that it will be a worthwhile investment. Basically, it’s like test-driving books. Particularly when it comes to cookery books (so should that be test-cooking?). This plan only works because the Auckland public library system is brilliant. All the public libraries across Auckland are managed by the council (apparently this is a relatively recent development and only happened in the last couple of years) and all linked up to the same computer system. So when I request a book, it will come from whichever library has it available, it’ll be delivered to the library of my choice, and, most importantly, there aren’t any inter-library loan charges involved. To me this seems the most blatantly logical way to run a network of libraries, but apparently it doesn’t work like that in, say, Edinburgh. Since this system covers 55 libraries (yes, 55! ), you won’t be too surprised to hear that the selection of books is very comprehensive and includes the latest releases (albeit often accompanied by long waiting lists). This was something that I was extremely pleased, and indeed impressed, to discover. So anyway, back to River Cottage Veg Every Day!, which is what this post was actually supposed to be about, rather than my over-enthusiasm for Auckland’s public libraries. I finally made it to the top of the waiting list and was able to pick up a copy about a fortnight ago. Flicking through it randomly, there were plenty of recipes that I wanted to try and I couldn’t choose what to try out. I decided to be logical and start reading from the beginning and pick out one recipe to start with. I got as far as the second recipe, chachouka, a North African dish which I’d never heard of but looked pretty damn delicious in the accompanying photo. 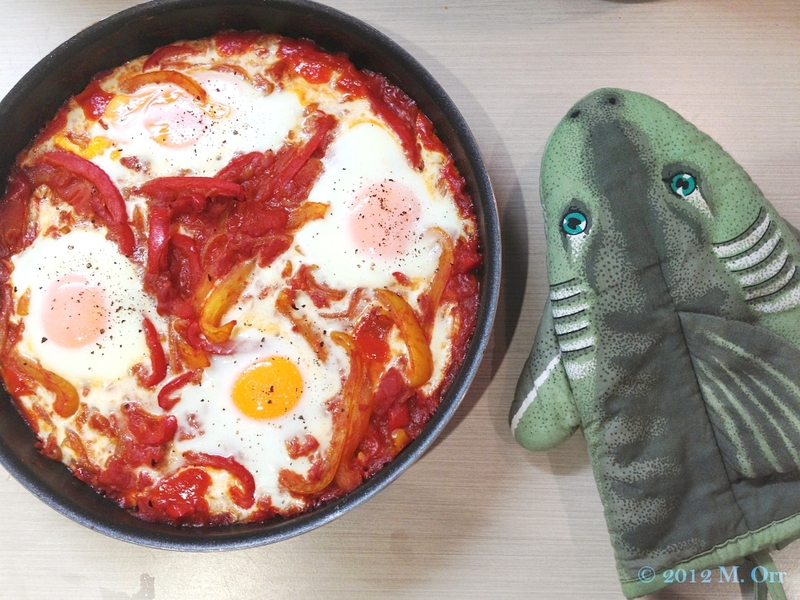 It’s a spiced (but not spicy) and flavourful sort of stew that consists of peppers, onions and tomatoes, topped with baked eggs. It’s perfect for a lunch or light dinner, and I loved it! The egg means that the leftovers don’t reheat all that well, so I’ll be keeping this one bookmarked for when I have guests over. Adapted from River Cottage Veg Every Day! Be warned that this dish does take a wee while to cook, but it isn’t difficult to prepare and doesn’t take too much effort. This is best eaten as soon as it is prepared, accompanied by a simple green salad and bread to mop up the egg yolk. 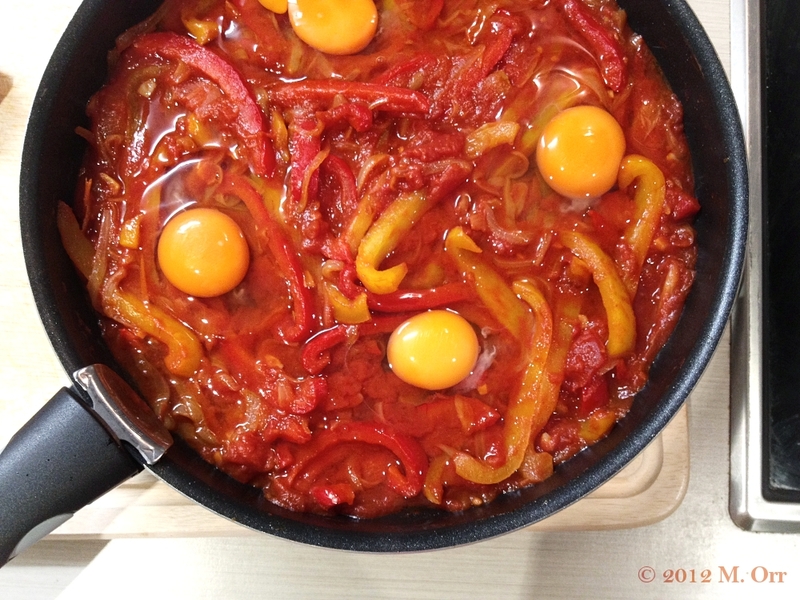 This dish doesn’t really make for great leftovers – unsurprisingly, the egg yolks cooked completely when I reheated the leftovers for lunch the next day, so I didn’t quite enjoy it as much as when freshly cooked, although the pepper and onion mixture was still delicious. 1. Pell and finely slice the onion. Heat the rapeseed oil in a large frying pan (use an ovenproof one if you have one) and add the onions. Cook over a medium heat for 8-10 mins, stirring frequently until soft and golden. 2. Meanwhile, deseed the peppers and finely slice them (I’d suggest slicing more finely than I did in the photos), Feel and finely chop the garlic cloves. When the onion is ready, turn the heat down to low and add the peppers and garlic to the pan. 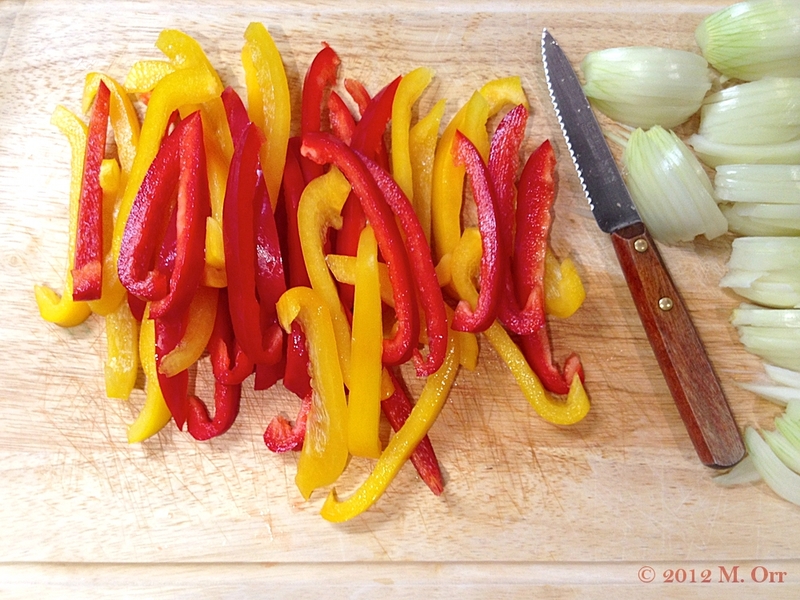 Cook for at least 20 mins, stirring frequently, until the peppers are softened. Add the spices about 10 mins in. 3. Add the tin of tomatoes, including the juice, and season with salt and pepper. Continue to cook over a low heat for 10-15 mins, stirring occasionally. 4. Pre-heat the oven to 180°C/fan oven 160°C. 5. Adjust the seasoning of the pepper mixture if necessary. If your frying pan isn’t ovenproof, transfer the mixture to an ovenproof baking dish. Make four hollows in the mixture and carefully break an egg into each one. Bake for 10-12 mins, until the egg white is cooked, but the yolk is still runny (it can be a little difficult to tell if the egg yolk is still runny, but basically remove it from the oven as soon as the egg white is cooked). Serve accompanied by bread and a green salad.